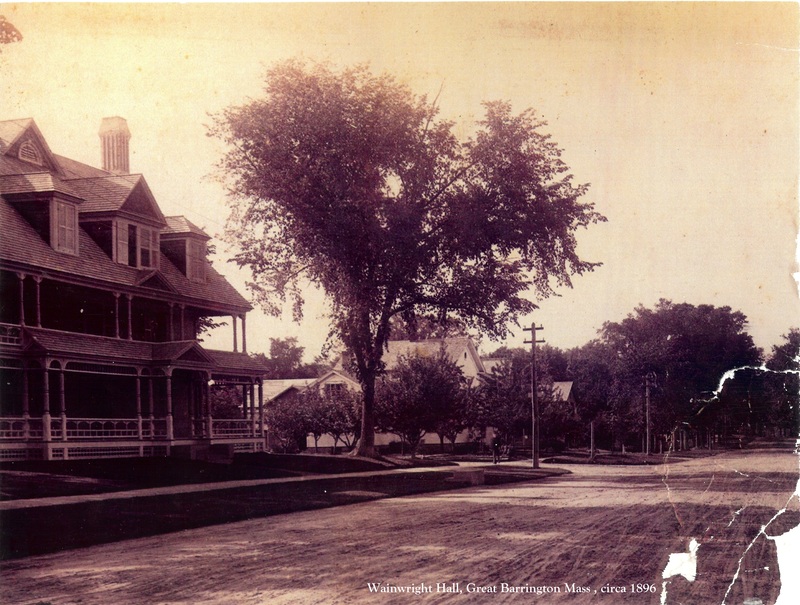 Over hundred years old photographs showing historical Wainwright Hall (today Wainwright Inn B&B) in Great Barrington Mass. 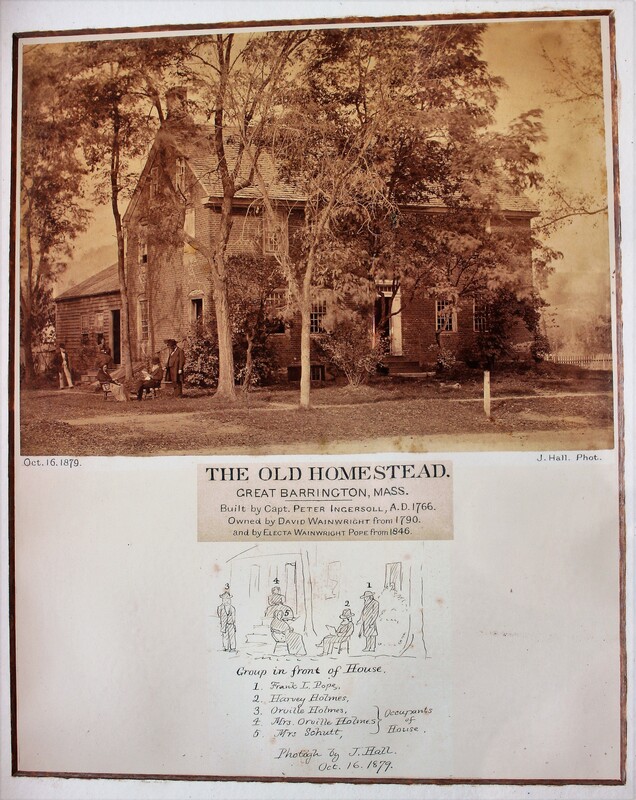 Photo made in Oct. 16, 1879 shows house in it’s original form as was built in 1766 by Peter Ingersoll. 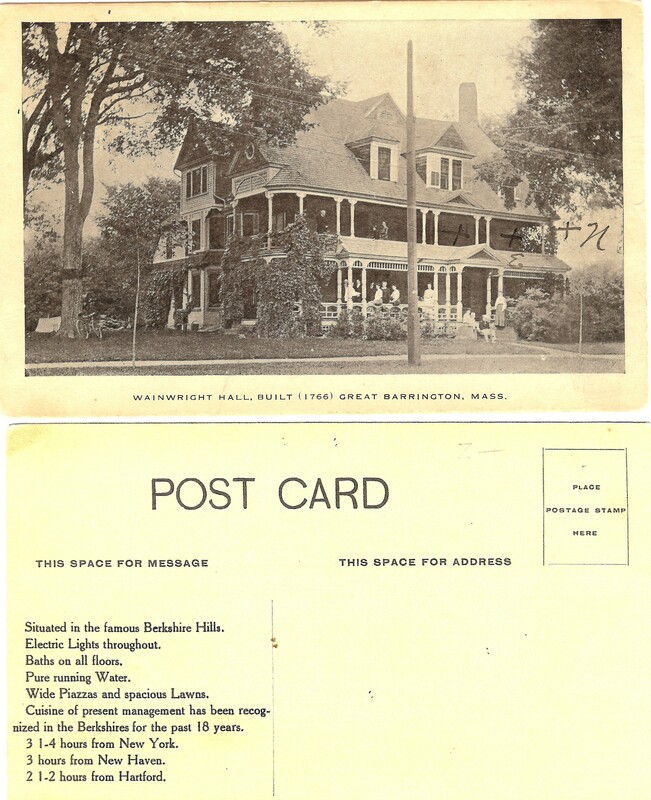 Two other photos from the turn of the century show expended house with the front porches and extension on the back added in 1890. 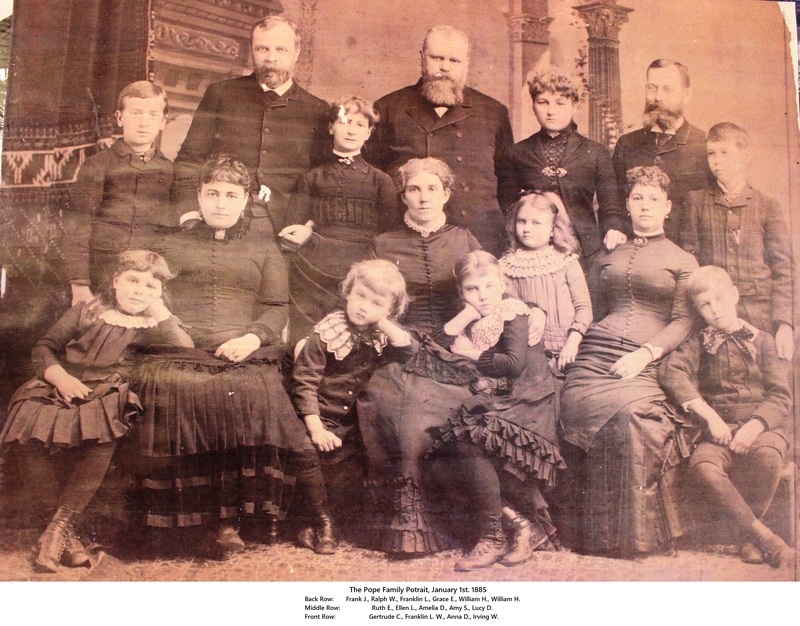 The Pope family on the photograph dated on Jan. 1st. 1885 owned the house since 1840 until beginning of 1900s. Franklin Leonard Pope’s (top middle on the photograph) grandfather Ebenezer was married to Electra Leonard Wainwright, daughter of David Wainwright who purchased the house from Peter Ingersoll in 1790-1792.